Natural Science/ Medicine Focus: pure & applied sciences, math, engineering, technology, related areas in education. Published in March, June, September, December (Quarterly). Maintained by the University of Northern Iowa’s Department of Physics. 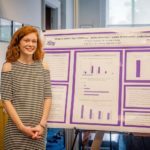 Submissions: Manuscripts that describe the results of undergraduate research in analytical science(s), submitted at a logical point in the research progress. Submissions: students and professionals may apply. Manuscript must not exceed 800 words and saved in a Microsoft Word file. Email to nsslha@asha.org with “NSSLHA Now! Submission” as subject title, and include name, title, phone number and email address in the body of the email. Photographs must be in JPEG, EPS or TIFF format at 900×1500 pixels or more, headshots at 600×900 pixels. No internet images. Submissions: Undergraduate, Graduate, and medical students may apply. Journal of Science and Health (JOSHUA) Natural Science/ Medicine Submit to Joshua.alabama@gmail.com – submission must be between 1,000 and 3,500 words. Longer submissions are accepted if the submission can be downsized to publication length and allow for extra information to be published online. Published by the University of Alabama, sponsored by Tri Beta and Howard Hughes Medical Institute. Focus: Original studies and review articles in basic, clinical, translational, epidemiological medical research, medical education, medical ethics, medical jurisprudence, and history of medicine. Submissions: editorials, letters, comments, review articles, original studies, poetry and short stories, book reviews, perspectives, and case reports. Must create a username account to submit and check status of submissions. Submissions: Students (but must be co-authored by a university faculty member). Publication can be delayed for publication until the student graduates. Submit through ees.elsevier.com/jnpor www.npjournal.org. Manuscripts should be between 3,000 and 3,500 words, should include an abstract (less than 100 words), 4-6 keywords, a cover letter, title page, the manuscript (including references & table/figure keys), the tables/figures, and the ethical disclosure from the website. Submit these as separate files. For more information on submission guidelines visit http://www.npjournal.org/authorinfo. Focus: all aspects of chemistry as well as analytical, organic, inorganic, physical, polymers, and biochemistry aspects. Submissions: students or professors may submit. 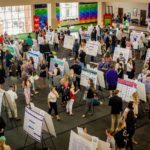 Please inform of previous oral/poster presentations that have been made. A letter from the sponsor that certifies the work was done by the undergraduate student and that they have no issue with being acknowledged at the end of the paper must be submitted with the manuscript if it wishes to be published. Submissions: (Original Research) must be written by undergraduate student or team of undergraduates, with a professor/graduate student/medical doctor/professional scientist as a mentor. The advisor/mentor must submit an Advisor Approval form. Format: Abstract, Introduction, Methods & Materials, Results, Discussion & Conclusion, References. Submissions: cover letter and manuscript are to be sent to impulse@appstate.edu after following directions listed on website. Submissions must refer to a faculty member mentor. Journal scope: human biology, non-human primate behavior, new & developing fronts that contribute to the growth of the science of human and non-human primate evolution. Fine Focus Biology Fine Focus is the first microbiology research journal for undergraduate students. They are now receiving new manuscript submissions from UG research in microbiology (or AP/honors high school students) for publication in Fine Focus. Deadline for manuscripts for consideration in the summer 2016 issue - March 20, 2016! Mechanisms of Evolution by University of Nevada Las Vegas Bioinformatics, Field Ecology, Systematics, Molecular Biology and Physiology Undergraduate projects funded by the REU Site: Mechanisms of Evolution focus on biological processes, such as mutation, genetic drift, migration, non-random mating and natural selection that drive heritable change. The inspiration for this proposal is the celebrated essay, Nothing in Biology Makes Sense Except in the Light of Evolution by Theodosius Dobzansky.